13 weeks and feeling better sick wise, but not energy wise. I am still so exhausted all the time. I still am taking a nap in the afternoon when I can, which it is such a blessing that I can. My belly is finally popping out and not just bloated so that is nice. Yesterday we had our 13 week NT scan ultrasound. Everything looked great! Heart rate was good, baby size was good and just everything look great! I am going back at 18 weeks for another ultrasound due to my miscarriage history, just to keep a close eye on things. And then for my mid-pregnancy 22 week ultrasound. Hoping we will have gender at the next ultrasound! Baby at 13 weeks, look at those lips! Symptoms: Morning sickness is almost all gone. I still have 0 energy. Exhausted all the time! Still can't eat large amounts at one time. Maternity Clothes: Yes, I just got my new maternity shorts in, YAY! Wore them for the first time today. I am already getting hot and it is only 70 degrees out! Gender: ??? It was too hard to tell. Hoping at my next ultrasound we will be able to see! Sleep: I am only waking up once a night to go to the bathroom. I am having crazy vivid dreams. So I feel like I am watching a dream movie all night long instead of sleeping. So that is hard. Miss Anything: Sleeping comfortably flat on my belly! Cravings: not really craving anything right now. Workouts: Been doing the Active Maternity by Autumn Calabrese on Beachbody on Demand. 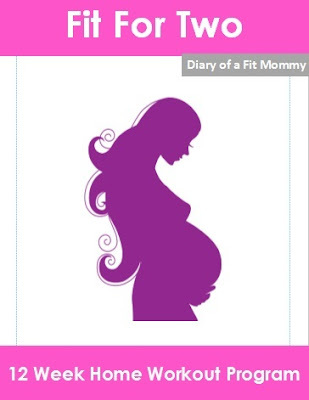 Also have been doing the Diary of a Fit Mommy: Fit For Two 1st trimester workouts. Next week I graduate to the 2nd trimester! Going to be adding in some 21 Day Fix workouts too. So rotating between the 3!